Based on the feedback we’ve received thus far, we’re beyond hopeful that this storyline will resonate with admirers of the horror, paranormal and supernatural genres. Today, Gnomish Hat, the parent company and creators behind Hunt A Killer, the fastest-growing thriller subscription in the world, officially opened memberships for its second brand Empty Faces, an immersive paranormal investigation, bringing its popular, interactive storytelling concept to horror fans everywhere. 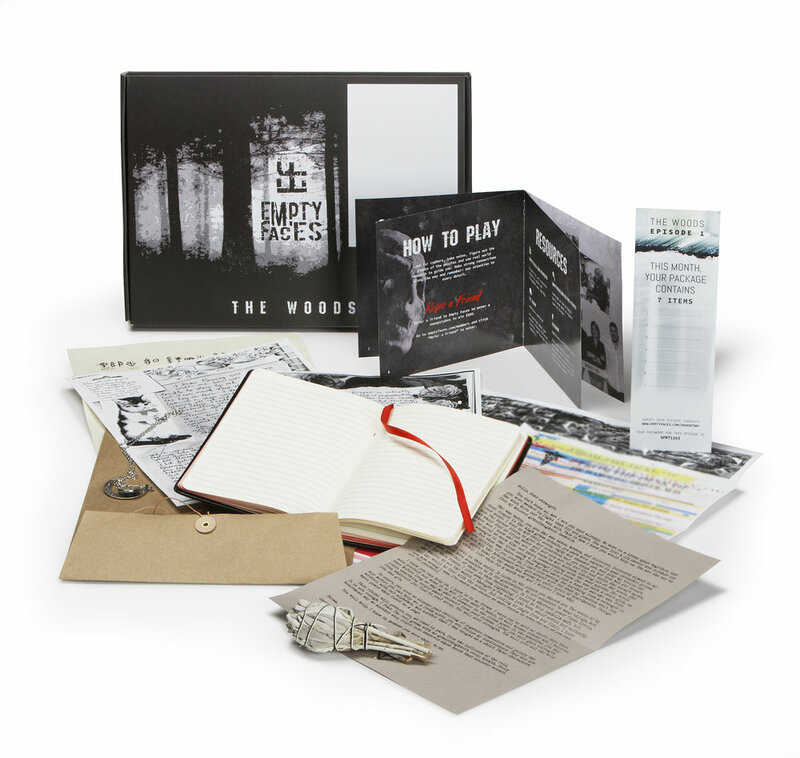 After experiencing a triumphant, exclusive pre-sale over the last six months and receiving enthusiastic feedback from early adopters of the Empty Faces’ season one “The Woods,” memberships are now widely available to the public. “The Woods” is the first horrific journey in the Empty Faces series. Throughout the five episodes, players can expect a storyline centered around a grandmother who comes to live with her granddaughter in an eerie and isolated setting in the woods. After her granddaughter goes missing and is found in a comatose state, the grandmother asks for help to fight off the sinister entity menacing her family. Each monthly episode is thoughtfully pieced together by the company’s world-class team of fiction horror writers and delivered directly to the member’s doorstep. Filled with bizarre objects and disturbing messages from an indescribable evil, each episode introduces players to rituals and puzzles used to help save the victim. The interactive experience acts as an off-screen television show that players can touch, feel and smell. The continuous adventure strategically connects the dots episode by episode ultimately leading members to solve the unknown at the completion of the season. Empty Faces can be played alone, in a small group or even a large setting and is a favorite among horror and thriller fans, subscription box buffs, movie enthusiasts and gaming devotees. Pricing is flexible and starts at $26 per month. Other benefits available to members include access to the private Facebook Group and forum, invites to special meetups and events, deals and first-chance sign-ups for community activities, among more. For additional information or to join the scariest subscription series, individuals can submit an application at emptyfaces.com. Empty Faces (EF) is a new immersive paranormal investigation created by Gnomish Hat, the makers of the popular true crime subscription experience Hunt A Killer. Each monthly episode is shipped directly to the member’s doorstep and is filled with bizarre objects and disturbing messages from an indescribable evil. “The Woods” is the first horrific journey in the Empty Faces series and is spread across five eerie episodes. Members can play alone, in a small group or as a collaborative team by using the private Facebook community in order to survive and solve the saga. For additional information or to join the scariest subscription series, visit emptyfaces.com.